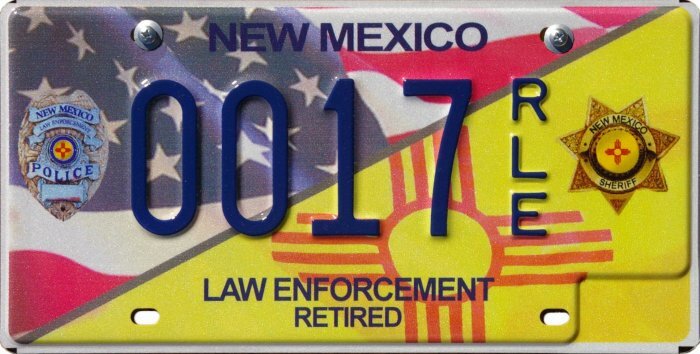 The New Mexico legislature has authorized the Motor Vehicle Division to issue special plates to recognize additional careers and organizations, but it is not unusual for a period of years to elapse between the authorization of a new type of plate and its first issuance. The ones listed below are among those already specifically authorized by the legislature, though exactly when or if these will come to fruition is unknown. 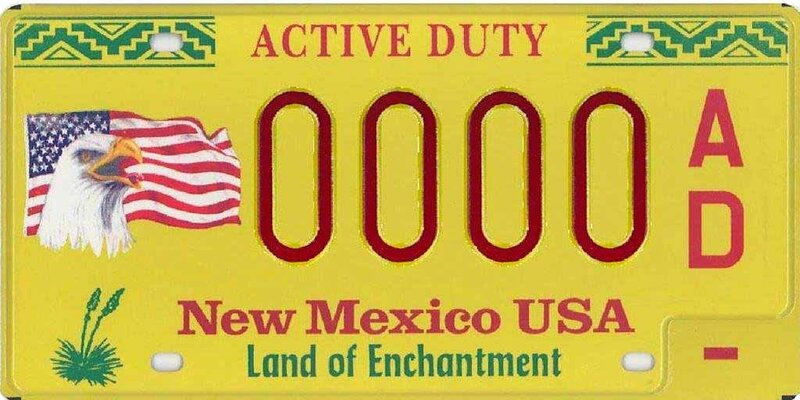 Active Duty Military This plate was first proposed in about 2015, but as of early 2017 there is still no word of it having been made available. If and when it does go into production, New Mexico residents currently on active duty with any branch of the military would be eligible to apply for it. Civil Air Patrol Member, New Mexico Wing The Civil Air Patrol, or CAP, is a U.S. Air Force auxiliary organization which assists during civil emergencies, including search and rescue for missing aircraft. High School Rodeo Association The plate is to recognize and promote the New Mexico High School Rodeo Association, which is affiliated with the national organization of the same name. Retired Law Enforcement Officer To be made available to those who have retired from a career in law enforcement. This plate appears to be further along than most, with a graphic design already chosen. Indeed, there are unconfirmed reports to the effect that a few of these plates have already been issued. Retired Letter Carrier Intended for persons who have retired from a career with the U.S. Postal Service. Route 66 Motorcycle It has been proposed that a motorcycle version of the Route 66 plate be made available, but as with other types there is uncertainty as to when or if this type will actually be released. A proposed design released by the MVD is illustrated here. 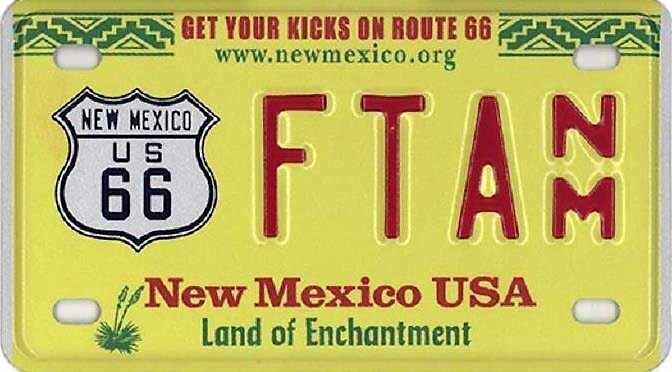 Search and Rescue Member This plate would recognize persons who are active members of S&R groups within New Mexico. Photo Credits: Active Duty Military and Route 66 motorcycle courtesy N.M. MVD. All others by Bill Johnston.